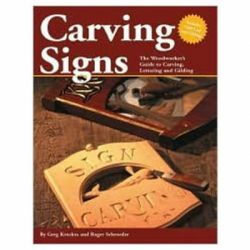 We use signs everyday - to figure out which way to go, to know if a store is open or closed, to welcome guests, and to mark a room as belonging to someone special - just to name a few. 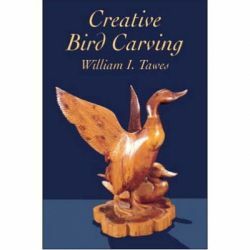 Hand-carved wooden signs can add warmth and charm to any home or business. In the Lettering & Sign Carving Workbook, author and woodcarving instructor Betty Padden shares her designs and techniques for creating custom signs. 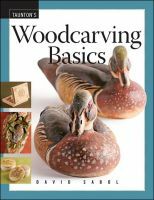 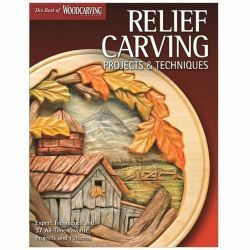 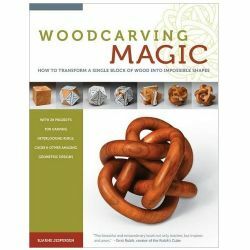 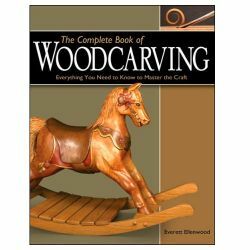 With this book, even beginner woodcarvers can learn to carve and paint signs with the 10 skill-building projects. 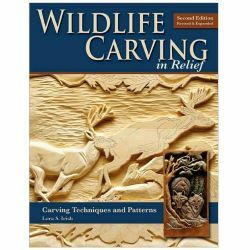 From learning to carve simple cuts into a pre-made blank, to carving more intricate designs and finishing with elaborate painting, the reader's skills will be improved with each project. 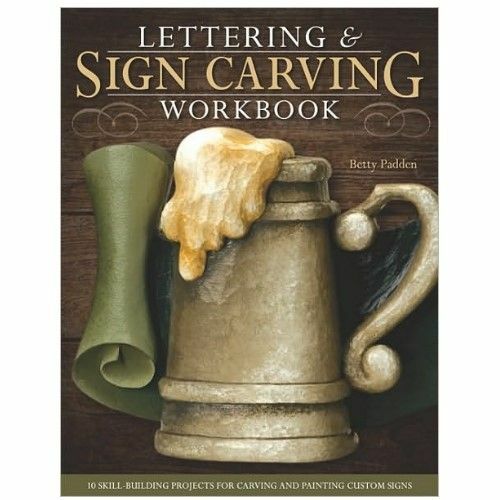 Specialized techniques such as creating custom lettering on a computer, gilding, and more are introduced in later projects.